The POV Dispatch is our Autodesk internal newsletter, published monthly, where we discuss the big ideas that are important to us and our customers. It is published by our Corporate Strategy & Engagement team of which Autodesk Labs is a part. 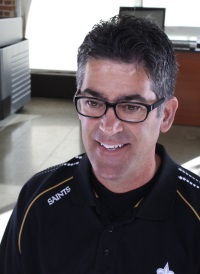 Bill O'Connor is an Innovation Strategist. Bill contributed an article about a book he read, I thought I would share it with you. Peter Thiel is a San Francisco billionaire techlebrity: totally famous-in-Silicon-Valley and a bona fide expert on startups, given his role as co-founder and CEO or PayPal, early investor in Facebook, and founder of his own VC firm. He's also known as a vocal libertarian, who supports "seasteading" — basically building a society at sea, Ayn Rand-style — and who has offered cash to young people to help them drop out of college to pursue their entrepreneurial interests. The question to ask when approaching a book by such a firmly established tech/business guru is a surprisingly simple one: does s/he have any valuable transferable insights to convey to the reading public, or is s/he just someone who is great at what they do but can't really impart much relevant wisdom about same? 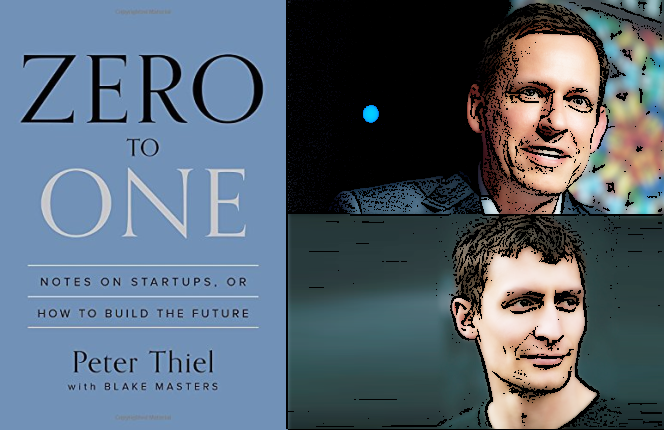 With this new book by Peter Thiel, called Zero to One, it's mostly a case of the latter. "Doing what we already know how to do takes the world from 1 to n, adding more of something familiar. But every time we create something new, we go from 0 to 1. The act of creation is singular, as is the moment of creation, and the result is something fresh and strange." Capitalism is somewhat antithetical to competition; in fact, Thiel states that you should shoot for making your company so good, and your customers so happy, that you essentially transcend competition and become a benevolent monopoly. This section of the book actually offers some interesting, fresh thinking, not just theoretically, but also at the practical/tactical level, i.e., at a level that would be useful to ambitious tech/business types. And lots of practical advice on the nuts and bolts of starting and running a company. In these sections, he is believable, entertaining, and useful, as he describes some hard-earned lessons from the tech trenches. If he had focused the book more on this kind of thinking, I'd be inclined to give it a higher rating. As it is, though, I'd say this is a "could read" if you're about to start a company, or if you're willing to sift through a good deal of obvious stuff to get to the streaks of quality running through the book. Thiel is one of the famous "PayPal Mafia" — a group that has gone on to found such huge and respected companies as LinkedIn, YouTube, Yelp, Yammer, and Tesla/SpaceX (and yes, he's a good buddy of Elon Musk) — so it's pretty clear that he knows whereof he speaks on these topics. So if the whole Silicon Valley scene is fascinating for you, this might be worth a read; but if you're looking for genuine insights about tech, business, startups, etc., I'd recommend the latest book by Ben Horowitz of Andreessen Horowitz, or How the West Won, by Rodney Stark. Reading is alive in the lab.